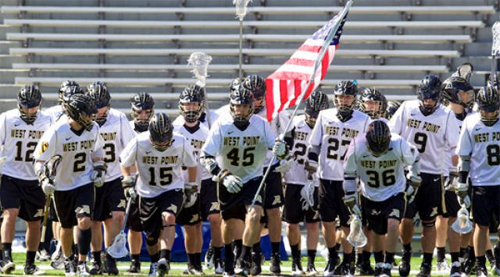 Navy is on a nine-game win streak against its rivals on the gridiron, but when it comes to lacrosse, Army has its own streak going. The visiting Black Knights defeated the Mids 14-9 on Saturday (April 16), earning them a bid to the Patriot League tournament and their fourth consecutive win over their rival. What’s more impressive is that according to the game notes, the Army Class of 2011 is the first to beat Navy four times in the program’s 94-year history. Army will close out the regular season at Holy Cross on April 23, and then look to defend its league tournament title beginning on April 29.